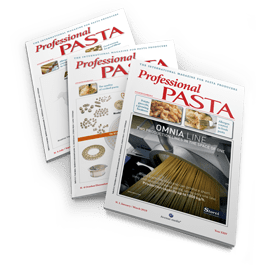 Anzio Storci, President of Storci: «It is challenging but at the same time it’s great being able to offer complete and technologically state-of the-art solutions for pasta and couscous manufacturers». 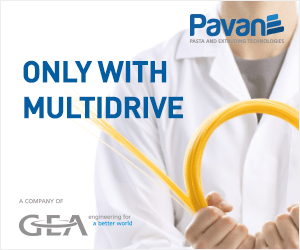 For a pasta factory the turnkey solution means being able to obtain a supply which includes not only the production lines but also those general systems for feeding the various lines, including thermal and electric energy and everything else needed to run the production process. It is therefore essential to set up a well-defined and structured procedure which starts from the storage/infeed of the raw materials and ends with the packaging of the end product. Our President, Anzio Storci, explains the advantages for a client who chooses to implement a project of this kind. «A company which wants to set up a complete production system, starting with the raw materials and finishing with the end product has one basic need: having one, single reference point. We can meet this need because we have all the necessary know-how for implementing this solution and we have a network of suppliers and reliable local workers who can execute all the stages of the project. My experience in this sector has helped me acquire a series of knowledge on this subject, which I am now passing on to my sons, Michele and Simone, and my co-workers so that we can continue to perfect this activity». President Anzio Storci: in which countries has Storci supplied turnkey solutions? We have concluded some important contracts with certain Algerian customers, to whom we supplied both couscous and Omnia multi-shape pasta lines and a number of negotiations are currently underway for other projects. At the moment we are operating in the Maghreb area because we have received a lot of requests from there, but we haven’t excluded the possibility of working for other customers in different countries. Without doubt we can say we have had some very positive feedback, word of mouth is quickly getting around from our satisfied interlocutors and this, for us, is the most important result. There are without doubt other suppliers of pasta lines offering turnkey solutions. 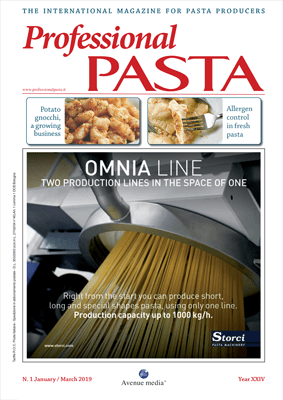 Why should a company wishing to produce pasta turn to Storci? As I was saying earlier, we have the know-how and necessary experience to be able to better meet all the requirements of anyone who wishes to produce pasta (and not only). Our lines are reliable, long-lasting and technologically avant-garde while still respecting tradition. 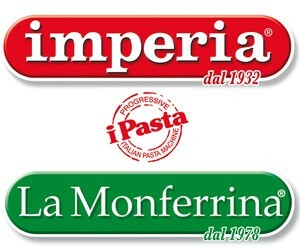 We produce lines for fresh and dry pasta, couscous, gluten-free pasta and ready meals and this versatility means that we can operate across the board, providing the complete range of plant systems which customer companies need to better meet the demands of the market in which they aim to be leader. Another innovation is Storci’s top of the range drying cells: long-lasting, sturdy, rustproof – three key words to give the customer greater peace of mind. As always Storci starts at the top to faithfully recreate maximum quality also for small- and medium-sized pasta factories. It is now offering a new, long-lasting solution: the best guarantee for scratchproof, rustproof and high temperature resistant drying cells, made with the same panels successfully used in the large automatic Fava/Storci lines, suitable for temperatures of over 90 °C which make it possible to dry pasta also at high temperatures. A plus point for the whole range of dryers designed for short- and long-cut pasta, nested pasta and lasagna, with a production capacity of up to 12 trolleys and in the XL version, customized for trolleys with 1500-mm wide drying sticks. Furthermore solutions are created with double-leaf doors, for plants which can only accommodate a limited opening radius due to lack of space, and other customized solutions can be requested which Storci will always do its best to meet. Improvements have also been made to the Plc which allows the user to set the parameters of the drying diagram in accordance with preset and modifiable formulas and which interfaces with the advanced graphic management supervisor and stores the parameters of the different process batches. To confirm the high quality, the humidity injection system is always available for the stabilization of special products. Sturdy and long-lasting: the innovation involves using closed cell fiberglass panels, i.e. seamless, without gaps between the insulating material and the outer coating panels. Furthermore, a stainless steel plate is affixed on the inside, as this is the best material available for processing operations in humid and ventilated ambient conditions. Also the through holes for the instrumentation are made with continuous welding to make sure humidity cannot filter into the panels. This makes it possible to improve and simplify cell cleaning operations with attention to the quality of the product and the safety of the consumer. This innovation, the result of Storci’s long experience and the reliability of its suppliers, means offering innovation and improvement solutions to the Customer. We asked Michele Storci, managing director of the company’s commercial department, the reasons behind this choice: «It is a decision which goes against the current compared to what everyone else is doing at the moment, in this period of economic crisis, in other words lowering prices at any price, even to the detriment of quality. Our solution is the one which represents the best compromise between cost, quality and service life, and this is thanks to the teamwork which goes on between our technical office, the production department and our partners. We believe so strongly in this choice that we are guaranteeing the panels for 10 years».